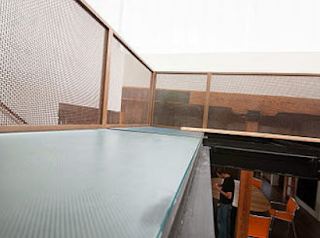 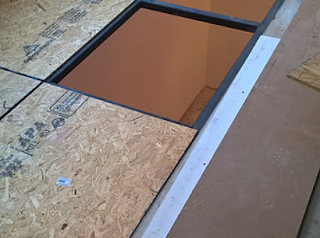 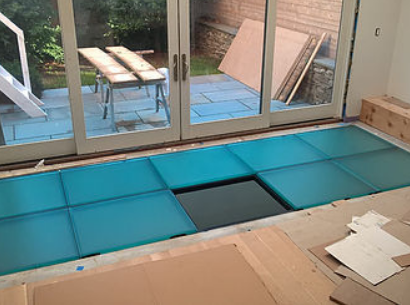 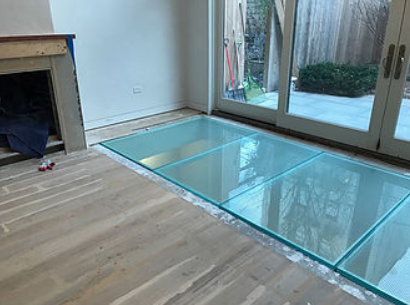 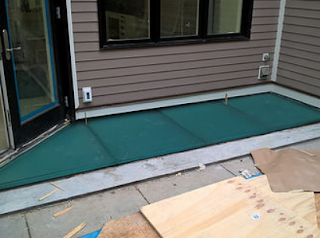 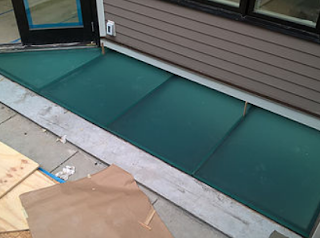 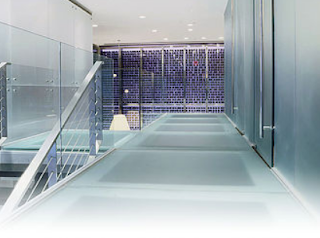 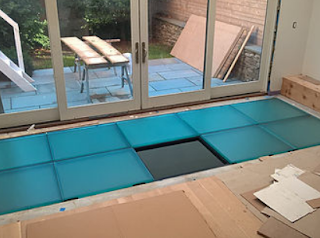 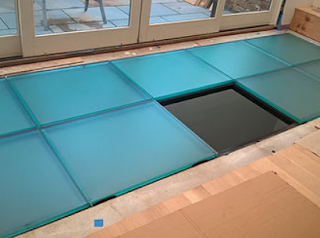 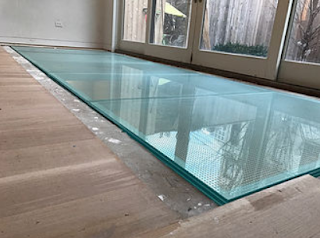 The best way to lay a laminated glass floor is by using block pavers with an aluminum grid. This newer method encases the sides and bottom edges of each glass paver block with a silicone sealant rather than the original method of using grout. 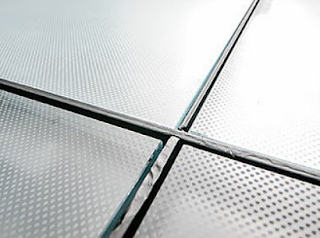 The aluminum grid provides durability and reinforcement for foot traffic, as well as offering a unique element to an interior design. 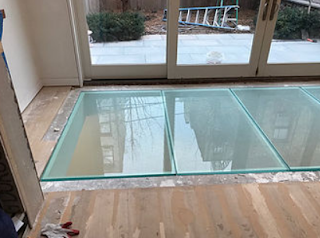 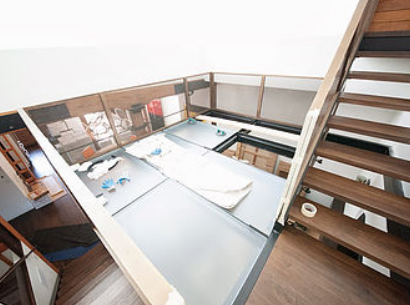 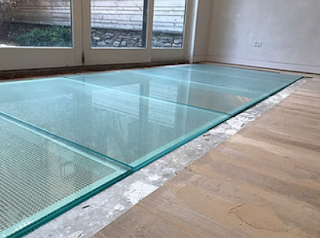 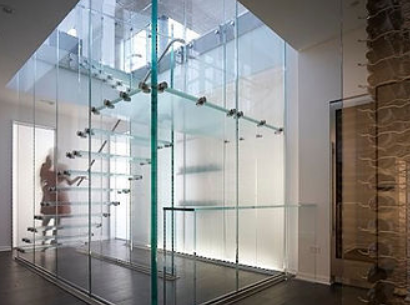 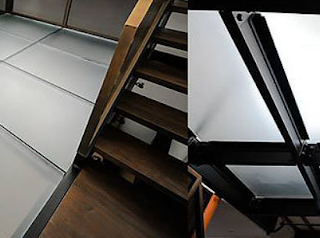 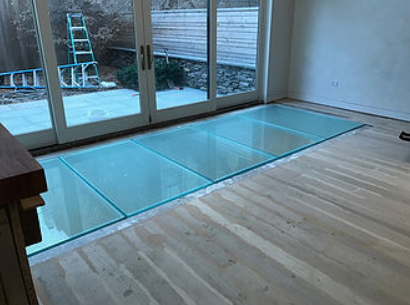 Glass flooring is available in several different options that at Giovani Glass we offer including crystal clear which is transparent, frost, revo, small rocks and sand. 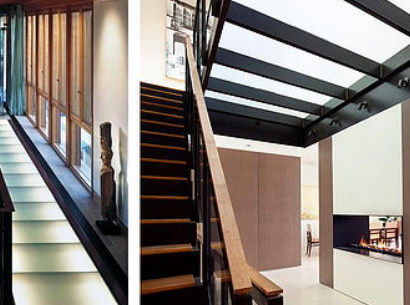 These options provide different levels of translucency and privacy, yet natural lighting can still filter in.